"Home is where the heart is" is not just a popular expression, it is really at the core of who I am. My home is my refuge, my memories, my hopes and dreams. Nothing makes me happier than when family and friends are gathered and there is laughter and love. I have spent my professional career in Interior Design, helping clients turn their house into a "home.” As a volunteer I have spent many years supporting Habitat for Humanity in my local community, helping those less fortunate achieve the dream of home-ownership. 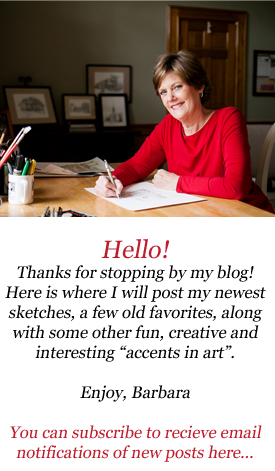 Accents in Art combines my lifelong love for art and home. By offering architectural illustrations of those special places, be it the home you grew up in, where you raised your own family, a special church or college campus; these are the places that shape our lives and warm our hearts.